Chronic: health complications that have deteriorated to the point that they have long-term consequences or effects. Chronic disease: a health condition or disease that has persisted for several years and possibly gets worse with time. Diabetes: this is a health condition that describes a situation where the body cannot produce its own insulin or cannot use it properly. Insulin is a hormone that regulates the sugar levels in the body. Dialysis: this is a medical procedure that filters waste products and extra water from the blood it is a kind of kidney disease treatment. GFR (glomerular filtration rate): this is a test of the kidney health. It tells you how well your kidney functions. Inherited: something you got from your father or mother from birth. Kidneys: 2 organs in the body in the form of beans, responsible for cleaning the body and making red blood cells as well as keeping the bones healthy. Kidney disease: the ill functioning of the kidney. This implies that your kidney cannot work as healthy as it should. It is treatable. Kidney failure: this is the total loss of kidney function. It means your kidney has stopped working. In this instance, you will need a kidney transplant or dialysis treatment for the rest of your life. Organ: an important part of your body responsible for one or more important tasks in the body e.g. the liver, kidney, heart, etc. Red blood cells: these are the cells in the blood that carry oxygen to all parts of the body. Risk factors: Something that increases risk for instance, diabetes increases your chances of having kidney disease. Symptoms: an alteration in body appearance or function that alerts you that something is not right. It is a sign of disease or illness. Treatment plan: a medical plan designed to help you get better or recover from a certain ailment. Transplant: An operation carried out to fix healthy organs in your body. 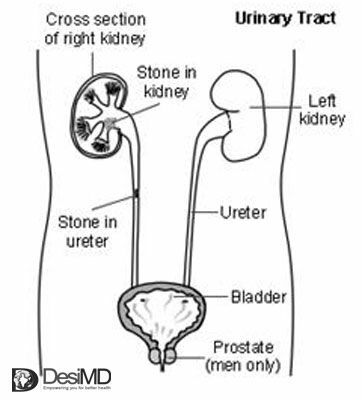 Ureters: 2 tubes carrying urine from the kidney to the bladder. Urethra: this is the tube that you use to remove urine from the bladder when you go to the bathroom. Urinary system (also called “Urinary tract”): this is the system that includes urethra, bladder, ureters and kidney. They work together to rid the body of urine; just like the plumbing system of the body. Urine: A yellowish liquid made by the kidneys. Urine is the way your kidney washes off waste products and extra water from your body.